The Newest book by Rupert Sheldrake, Ph.D.
E.I.R.S. has teamed up with Dr. Rupert Sheldrake in our efforts of understanding the elements of consciousness in science today. Please take a moment to view this section in which through words, books, and videos he explains what the years of work and academic research has led him to understand in the science of consciousness and why he calls it “The Science Delusion“. From 2005-2010 he was the Director of the Perrott-Warrick Project, funded from Trinity College,Cambridge. He is also a Fellow of the Institute of Noetic Sciences, near San Francisco, and a Visiting Professor and Academic Director of the Holistic Thinking Program at the Graduate Institute in Connecticut. He lives in London with his wife Jill Purce www.healingvoice.com and two sons. He has appeared in many TV programs in Britain and overseas, and was one of the participants (along with Stephen Jay Gould, Daniel Dennett, Oliver Sacks, Freeman Dyson and Stephen Toulmin) in a TV series called A Glorious Accident, shown on PBS channels throughout the US. He has often taken part in BBC and other radio programmes. He has written for newspapers such as theGuardian, where he had a regular monthly column, The Times, Sunday Telegraph, Daily Mirror, Daily Mail, Sunday Times, Times Educational Supplement, Times Higher Education Supplement and Times Literary Supplement, and has contributed to a variety of magazines, including New Scientist, Resurgence, the Ecologist and the Spectator. Rupert Sheldrake invites you to participate in his ongoing research. No previous experience is necessary, and the online tests can be done immediately. Most of these experiments are suitable for use in schools and colleges, and some make an excellent basis for student projects. Can you feel which of 4 audio samples you are about to hear? Try this new test, which takes less than 6 minutes, and is fun to do. The Telephone Telepathy Test A telephone telepathy test that works on mobile phones. Two people you know well serve as your contacts. There are two versions of the test, one for the UK and the other for North America. In this test you and one other person see a series of pictures for 20 seconds each, and at the same time hear some music. Depending on a randomizer, in some trials your partner is shown the same picture and hears the same music as you; in others, you see a different picture and hear different music. At the end of each 20-second period both of you guess whether the other person has been looking at the same picture or not. This test takes about 5 minutes. Can you feel when someone is looking at your photo and thinking about you? Try this test to find out. You need one or two other people, preferably people you know well. The test takes less than 5 minutes. You will need to upload a digital photograph when registering. This new experiment enables you to participate online in research on the Extended Mind. The results of your experiment are transmitted automatically to be recorded in the database. This test takes about 4 minutes.All you need is a co-researcher and you can start straightaway! Rupert Sheldrake Lecture: The Science Delusion from Rupert Sheldrake on Vimeo. All of the information here has been pulled either off of Youtube, or his website which is http://www.sheldrake.org where there is much more in depth information about himself and his research. 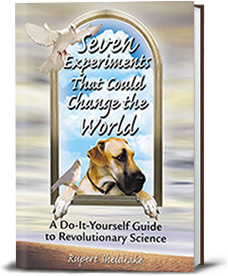 I suggest everyone at least check out his website and pick up his latest book “Science Set Free” (US) or “The Science Delusion” (UK) where he compiles all his years of knowledge and research. Well worth it! Many people who have ever owned a pet will swear that their dog or cat or other animal has exhibited some kind of behavior they just can’t explain. How does a dog know when its owner is returning home at an unexpected time? 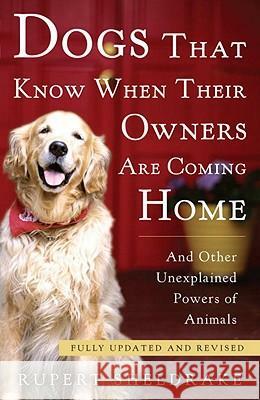 Filled with captivating stories and thought-provoking analysis, Dogs That Know When Their Owners Are Coming Home is a groundbreaking exploration of animal behavior that will profoundly change the way we think about animals, and ourselves. After five years of extensive research involving thousands of people who own and work with animals, Sheldrake conclusively proves what many pet owners already know – that there is a strong connection between humans and animals that lies beyond present-day scientific understanding. 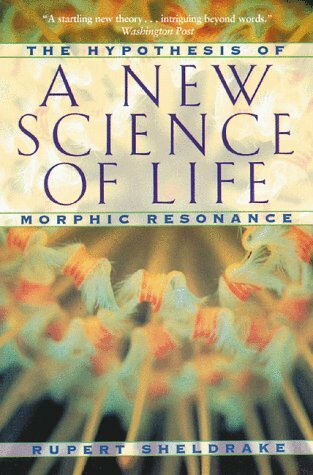 Rupert’s book A New Science of Life was re-published in America in October 2009 in a completely revised new edition, with an update on research on morphic resonance. Conventional scientific theories cannot explain certain phenomena. For instance, when laboratory rats have learned a new maze, rats elsewhere seem to learn it more easily. Rupert Sheldrake describes this process as morphic resonance, in which the forms and behaviours of the past shape living organisms in the present. Challenging the fundamental assumptions of modern science, this ground-breaking radical hypothesis suggests that nature itself has memory. The question of morphogenesis – how things take their shape – remains one of the great mysteries of science. What makes a rabbit rabbit-shaped? How do newts regenerate limbs? Why are molecules shaped the way they are? Why do societies arrange themselves in certain predictable patterns? According to Sheldrake’s hypothesis of formative causation, these questions remain unanswered in part because convention is hobbled by the reductionist assumption that finding the answers to such questions is largely a matter of figuring out the machinery of nature, of getting to the bottom of an ultimately mechanical universe. But Sheldrake suggests that nature is not a machine and that each kind of system – from crystals to birds to societies – is shaped not by universal laws that embrace and direct all systems but by a unique “morphic field” containing a collective or pooled memory. So organisms not only share genetic material with others of their species, but are also shaped by a “field” specific to that species. Sheldrake and his Critics: The sense of being glared at. In 1981 Rupert Sheldrake outraged the scientific establishment with his hypothesis of morphic resonance. Subsequently he devoted his research to pioneering science, winning popular acclaim and continued establishment approbium with a series of ground-breaking works. In this special edition of JCS Rupert summarises his case for the ‘non-visual detection of staring’. His claims are scrutinised by fourteen critics, to whom Rupert then responds. 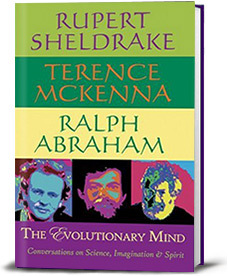 A jam-session of the mind, an intellectual movable feast…… Stimulating and often startling discussions between three friends, all highly original thinkers: Rupert Sheldrake, controversial biologist, Terence McKenna, psychedelic visionary, and Ralph Abraham, chaos mathematician. Breaking out of paradigms that retard our evolution and exploring new possibilities, they venture where few have gone before taking their readers on an exciting journey of discovery. 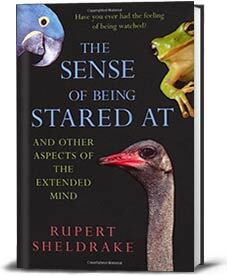 In his latest book, biologist Rupert Sheldrake explores the intricacies of the mind and discovers that our perceptive abilities are stronger than many of us could have imagined. Most of us know it well – the almost physical sensation that we are the object of someone’s attention. Is the feeling all in our head? And what about related phenomena, such as telepathy and premonitions? Are they merely subjective beliefs? Basing his conclusions on years of intense research, Sheldrake argues persuasively in this compelling, innovative book that such phenomena are real. Rupert Sheldrake’s groundbreaking book examines unexplained natural phenomena and suggests explanations that push the boundaries of science. How does your pet know when you are coming home? How do pigeons home? Can people really feel a “phantom” amputated arm? These questions and more form the basis of Sheldrake’s look at the world of contemporary science as he puts some of the most cherished assumptions of established science to the test. New edition with results update. “Through no fault of our own, and by dint of no cosmic plan or conscious purpose, we have become, by the power of a glorious evolutionary accident called intelligence, the stewards of life’s continuity on earth. We did not ask for this role, but we cannot abjure it. We may not be suited to such responsibility, but here we are.” – Stephen Jay Gould, The Flamingo’s Smile. 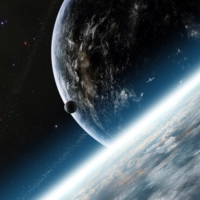 At the close of the 20th century, what do we know about why we are here, on this planet, in this universe? To address this and other big questions, journalist Wim Kayzer invited a diverse cast of six of today’s great scientific thinkers to discuss, debate, and argue their points. The result was the acclaimed public television series, A Glorious Accident, now edited and available in paperback. Explore the relationships between chaos, creativity, and imagination, and their connection to the soul of the world. 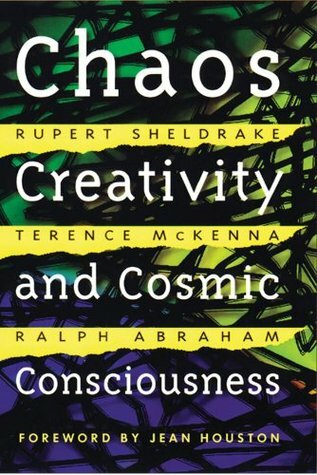 Join Ralph Abraham, mathematician and leader in the new science of chaos, Terence McKenna, shamanologist and ethno-pharmcologist, and Rupert Sheldrake, acclaimed biologist and originator of the theory of morphogenetic fields, as they “trialogue” on such questions as: How can chaos contribute to our lives? Is Armageddon a self-fulfilling prophecy? How can scientists and mystics share the same planet? Chaos, Creativity and Cosmic Consciousness challenges us to the deepest levels of thought as it calls into question our current views of reality, morality, and the nature of life in the universe. The chasm between science and religion has been a source of intellectual and spiritual tension for centuries, but in these ground breaking dialogues there is a remarkable consonance between these once opposing camps. 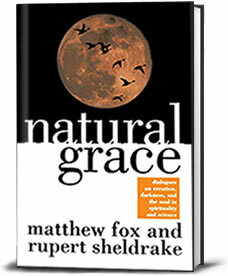 In Natural Grace, Rupert Sheldrake and Matthew Fox show that not only is the synthesis of science and spirituality possible, but it is unavoidable when one considers the extraordinary insights they have both come upon in their work. Sheldrake, who has changed the face of modern science with his revolutionary theory of morphic resonance, and Fox, whose work in creation spirituality has had a significant impact on people’s sense of spirit, balance each other with their unique yet highly complementary points of view. In these inspired dialogues a variety of ancient topics – including ritual, prayer, and the soul – are freed from the past and given new power for the future in the liberated universe Fox and Sheldrake show us. Why do many phenomena defy the explanations of conventional biology and physics? For instance, when laboratory rats in one place have learned how to navigate a new maze, why do rats elsewhere in the world seem to learn it more easily? Rupert Sheldrake describes this process as morphic resonance: the past forms and behaviors of organisms, he argues, influence organisms in the present through direct connections across time and space. 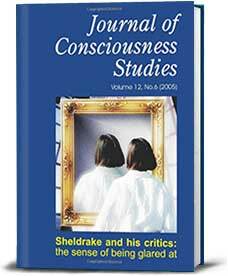 Calling into question many of our fundamental concepts about life and consciousness, Sheldrake reinterprets the regularities of nature as being more like habits than immutable laws. outstanding; the problem is something that not sufficient individuals are speaking intelligently about.